The Tavistock-Torrington Place saga has come to a hiatus, of sorts, with Camden’s cabinet members choosing to agree with the Officer’s report at a meeting on 5 September. Despite the huge cost of appointing an independent inspector, a barrister and acquiring extra traffic management expertise (SYSTRA), the Council has chosen not to implement the Inspector’s recommendations. As a result of the Cabinet decision, the ETO (Experimental Traffic Order) will be made permanent (the Inspector said it shouldn’t) and traffic will continue to flow eastbound along the Tavistock-Torrington corridor. Having heard evidence from both supporters and objectors during the Public Inquiry, the Inspector recommended westbound as the better solution. Camden Council does not agree. 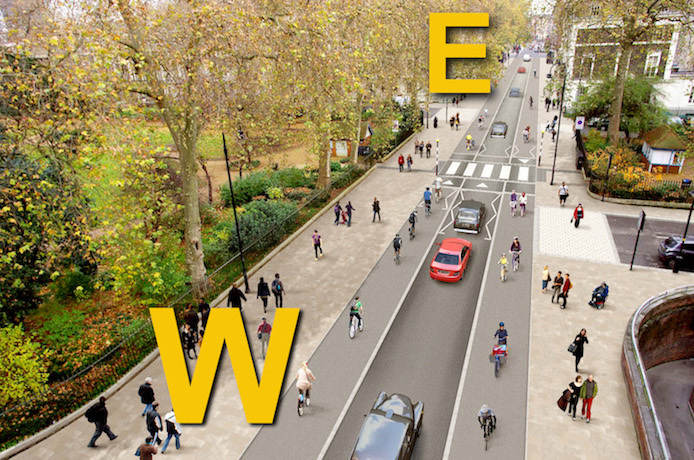 Officers have however stated that a new consultation on westbound versus eastbound traffic flow will be carried out in the autumn and that another report will be presented to Cabinet in April 2019, for a final decision. This formal recommendation was noted by the Cabinet on 5 September. BRAG has been critical of Camden’s consultation processes and we hope that Officers will see fit to follow law as it is laid down in the Gunning Principles. Camden: What Should They Tell Us?